But the truth of the matter is, there are more maps in the world than anyone can count. Every person draws a map that shows themselves at the center. I have lots and lots of maps in my head. Maps with shortcuts and scenic routes, in various parts of different countries… Secret beaches with abandoned chapels in the dunes or secret spots where you can park for free in many towns and cities, hidden speed cameras or stunning view points. I have maps for good dog walks, organic shops hidden in the Ashdown Forest or tucked away in obscure parts of London. Maps to get to remote sea side villages in Spain or in India or how to get to the run way of Gatwick airport. Abandoned derelict factories, secret surf spots, ghost towns and disused old skate parks from the 70’s, the best basque cakes in the entire galaxy… It’s all mapped somewhere in my head! And that’s why I have always refused to have a sat nav. Because I love working out where I am on a map. I love the randomness of finding a new gem, often through the confusing process of getting lost (For me knowledge often arises from confusion). Despite all my maps, my own head is the one place where I always get lost. Even with a map on my lap – Perhaps the only times I ever secretly wished I had a sat nav ! 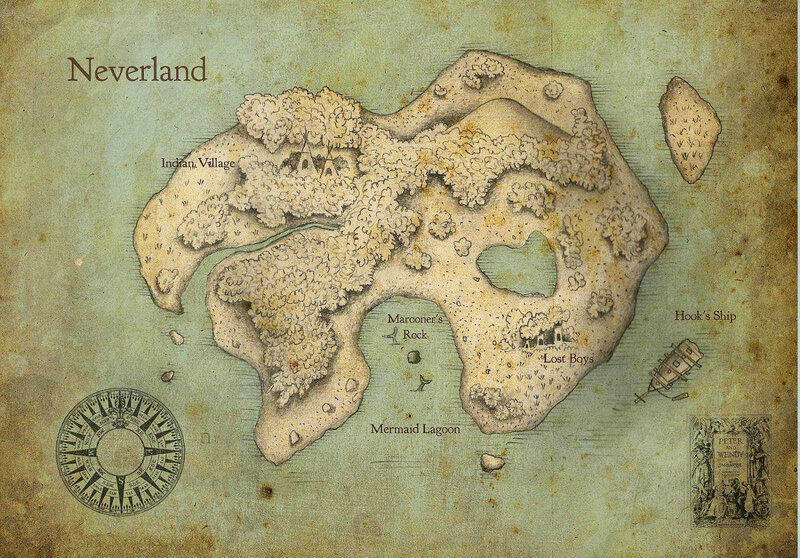 My 7 year old son has lots of maps in his head too… Last year he drew a map of Neverland as we were immersed in the J.M. Barrie book… He spent a lot of time thinking about Neverland, pondering about where everything was… and imagining all the adventures he would have with the lost boys as soon as he would get there. He came up with a lot of cunning plans to get rid of Captain Hook! He has been drawing treasure maps lately. Some are maps of secret islands which aren’t on any other maps… others show locations of shipwrecks, he can even draw a map of where the Titanic sank. His maps are reassuring to him. He was showing the map above to the paramedics last week, when they came at 6 am to take his dad to hospital (He had excruciating back pains caused by a trapped nerve). Thom had slept in his pirate outfit and insisted to show this treasure map (above) to the paramedics. That was his way to deal with the situation, because he didn’t know what to do. When they put his dad in the ambulance, He was still showing him his map through the window. It makes us feel that we are somewhere, on that map, so we won’t get lost. And if we do, well we can look at it and figure out where we are. We went on a treasure hunt yesterday. 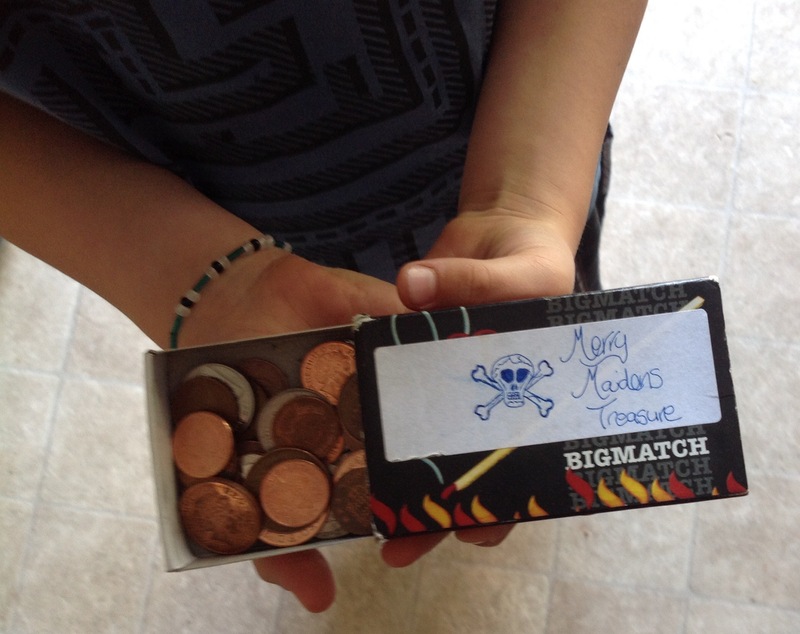 We made a map, and went in the woods to find an old forgotten treasure… and guess what? 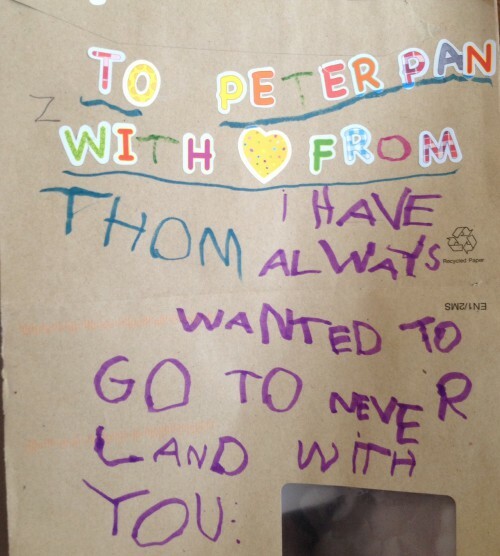 For a 7 year old boy, a map is magic. For his mum too. I was told yesterday that there is a new Peter Pan film that is due to come out very soon… So more pirate adventures on the horizon for us then! I do hope the trapped nerve was resolved. That sounds excruciating. 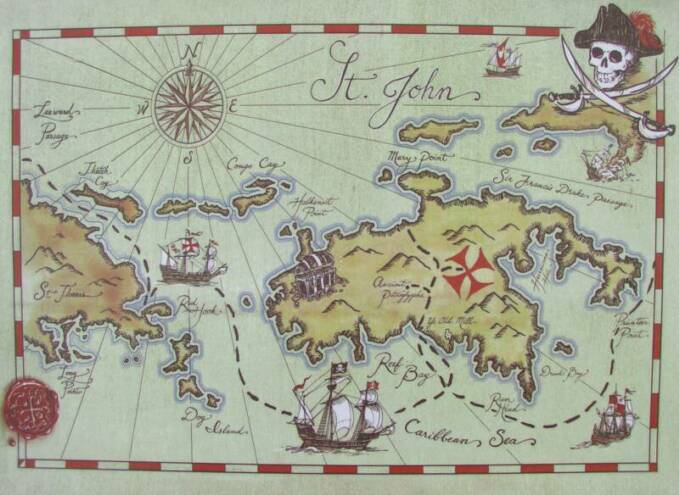 Maps and treasure hunts and pirates sound like great fun. My boys also enjoy drawing up maps inspired by books they have read and movies they have seen. They once drew a massive map inspired by Lord of the Rings that required a roll of lining paper. Do you like the look of the new Pan film? We cannot decide if we like the idea of it or not. The LOTR map was a group effort so actually it did not take them too long – perhaps an entire afternoon of beavering away. I made sure it crossed the Atlantic with us when we emigrated so it must be tucked away somewhere in one of the boys’ memory boxes. Perhaps they should produce an updated version now that they are a few years older. They also created a fantastic map inspired by Homer’s Odyssey too which, again, must be tucked away somewhere. I totally agree about trailers. They show all the best bits and often give away too much of the plot. My oldest son also observed that they have cast a caucasian actress as Tiger Lily which hardly balancces out the racism of the Disney version of Peter Pan. Mostly I worry that it won’t be in the same spirit as JM Barrie’s play. It does look to be a visual treat, however. We may well go and see it just because we have not been to the cinema in a couple of months. Yes, it could be that we are inferring the character is Tiger Lily when it is a completely different character. At least it looks to be a little dark which I think is appropriate as the whole Lost Boys thing is, I think, quite dark anyway. I will need to look up that comic version. I grew up not too far from JM Barrie’s birthplace. We would go on day trips to Kirriemuir quite often and always visited his house. A great deal of Peter Pan is essentially him processing childhood trauma so it’s definitely rooted in quite dark and brooding emotional stuff. Of course the kids just see all the adventure and fun – though they do see the connection between Hook and Mr Darling. Vietnam, I left 45 years ago to Australia where I married and raised my children. Have you managed to go back to Vietnam since? This is awesome! I used to love drawing maps too, and your (successful) hunt for buried treasure looks like so much fun!